Make of plastic in light weight, easy and convenient to organise Pills. The box is great for reminding you which medication to take at which times of the day. Note:Pills are not included here. Helps to remember your medication daily. 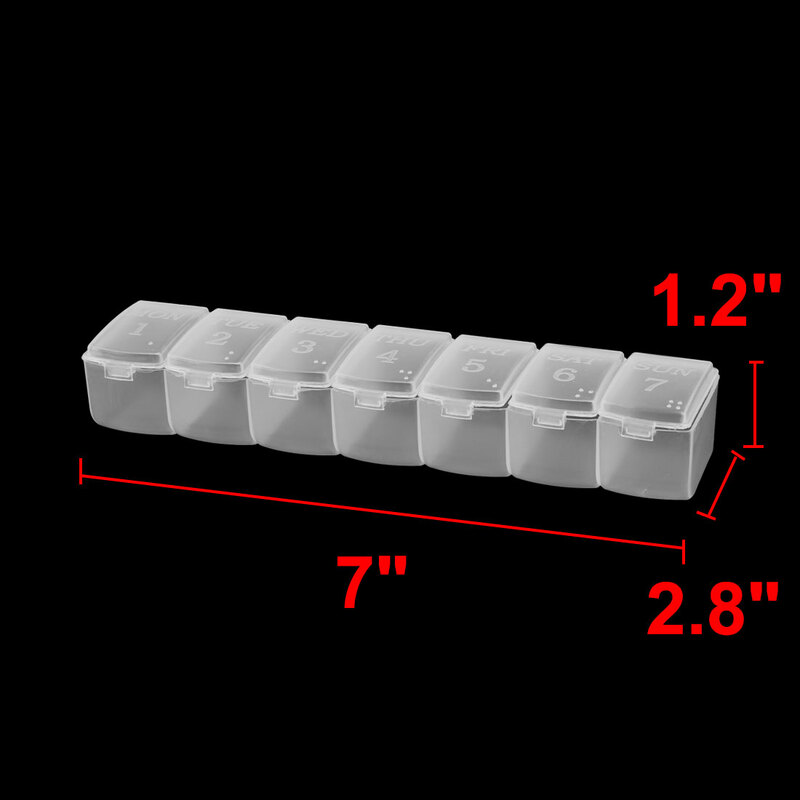 Plastic boxes, is smaller and lighter, convenient and practical. Pocket sized for travel convenience. It is easy to be disassembled for thorough cleaning.